A proper understanding and application of financial concepts is becoming essential to professionals working in the nonprofit sector as donor agencies increasingly prefer organizations that have good financial management systems in place. 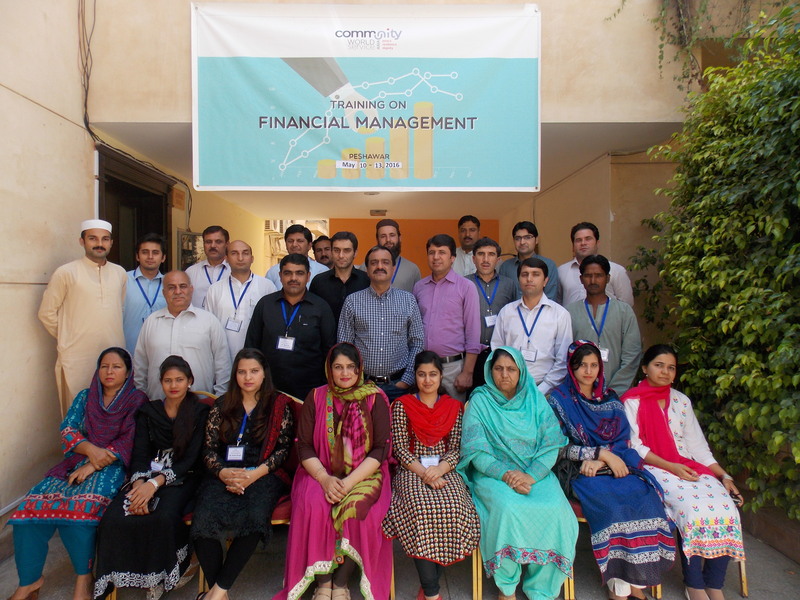 Held from 10-13th of May in Peshawar, this three-day training is the second of its sort specifically designed and organized by Community World Service Asia to strengthen the financial management skills of participants belonging to small-scale organizations. The training aimed to equip participants with knowledge and skills to help them utilize financial management tools efficiently. It was attended by a total number of 23 participants comprising of six women and seventeen men from nine organizations. 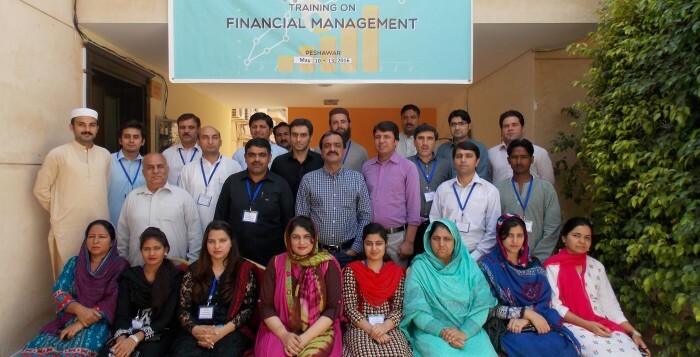 The training imparted specific skills on the fundamentals of financial management such as developing effective financial policies and internal controls, streamlining accounting system as per organizational policies, preparing budgets, preparing financial reports as per donor requirements as well as facilitating audits to ensure transparency. Masood Ahmed, the trainer, helped the participants in developing projects and consolidated budgets using activity-based budgeting techniques, simple cash flow forecasts and learning to use them. The significance of financial policies and procedures was highlighted. Participants got a clearer understanding of the financial management roles and responsibilities of board members, managers, finance team, and program staff. They became better aware of the importance of budgets in planning, control, and decision-making, the key components and language of accounting systems and the link between budgets, accounting records, and financial reports. One of the participants Shahzad From SSEWA PAK said, “The resource person had full command on the topics discussed and had a grip on the entire session.” Another participant, M. Akbar from Dehi Ijtimai Tarqyati Social Workers Council (DITSWC) said that he appreciated the resource person’s way of handling participants working in both finance and programs and found the session inspiring. Furthermore, brainstorming, individual exercises, lectures, role-plays, group work, interactive discussions, power point presentations were conducted while handout materials were distributed and discussed with all participants.